Join Chamber members in engaging in this yearlong social media challenge! 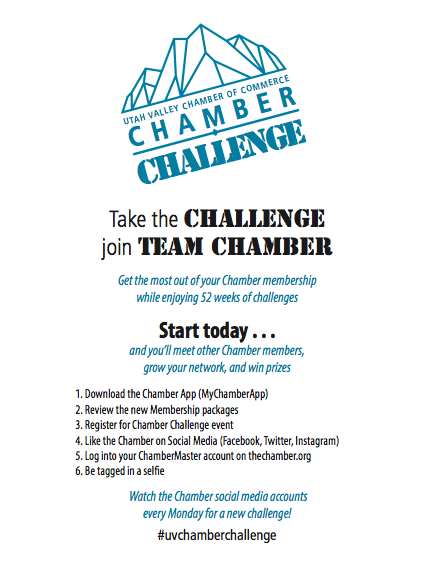 Each week the Chamber will issue a new challenge. Document yourself completing this challenge using the hashtag #uvchamberchallenge to be entered to win quarterly prizes. If you are interested in sponsoring a challenge or donating a prize please contact the Utah Valley Chamber of Commerce at 801-851-2555.